Instant memory in your pocket. 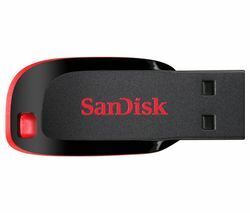 USB flash drives are the ultimate in portable data storage. Small enough to fit on your keyring, but with enough memory power to back up your essentials, they’re ideal for work, play, study and more on the move. 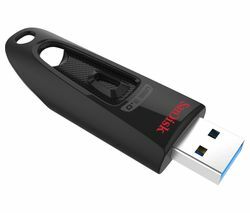 Also known as pen drives, USB flash drives use flash memory to store and transfer data between devices that are fitted with USB ports. Music, photos, videos, personal and business files – you can access them all wherever you need them. These ultra-portable drives are tiny and lightweight enough to carry anywhere, and are all designed to slip neatly onto your keyring. Flash drives, including our PNY USB drives, are available in a range of capacities, from 8GB to 64GB too. 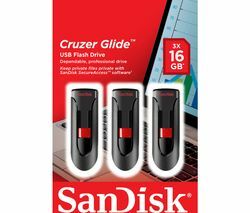 Choose from USB 2.0 drives that transfer even large video files in flash, or USB 3.0 drives that perform even faster. Data encryption and password protection software options allow you to establish a password-protected folder on your drive for private use, protecting your files with secure AES encryption. For the ultimate portable storage solution, take your files anywhere, securely, with a USB flash drive. And if you’re looking for bigger memory capacity, we have plenty more data storage solutions to choose from.